Sometimes a turn in life takes you by surprise, leading you right where you need to go. For one young entrepreneur, Alex Freeman, founder of BottomsUP Box (BottomsUpBox.com), a craft-beer themed subscription box service, this is exactly what happened. Alex, born and raised in Chapel Hill, North Carolina, grew up thinking about eventually attending big universities but landed in a much smaller setting in Hickory, at Lenoir-Rhyne University (LRU) with a lacrosse scholarship. Attending LRU became life-changing for Alex, something he remains extremely proud of. While at LRU, Alex obtained a bachelor’s degree in economics in 2014; two years later, in May of 2016, he completed his Master of Business Administration with concentrations in entrepreneurship and innovation. But Alex didn’t start out knowing business was his career path. He had plans to become a special education teacher for the deaf; however, that program lost its funding, sending him searching for another major. Taking a cue from his parents who both managed small businesses, he explored business courses. He credits his parents’ years of encouragement and motivation, guiding him to develop his entrepreneurial abilities. In that entrepreneurial spirit, Alex had 50-60 ideas fail before creating BottomsUP Box, a quarterly subscription package containing a limited, specialty T-shirt and pint glass, along with three to five other pieces. Craft beer-themed items, he realized, were accelerating into a larger niche, and while a niche product was “equally exciting as well as nerve-wracking,” he understood how the overall experience appeals to craft beer consumers. Initially, Alex cold-called various people who laughed at his idea, telling him he needed a more technical design. He notes only one call out of 10 or 15 was successful, but this drove him to try harder. “Most recently, more than half the box was drummed up by referrals or by companies reaching out to us, valuing that marketing space the box provides,” says Alex. Alex initially started the company, an LLC, with his own money, and then funded the first box on Kickstarter, selling his initial goal of 100 units, which shipped in August of 2015, and then growing sales by 20 percent in every quarter thereafter. The quick profitability came as a surprise, and he made the decision to reinvest most of the money back into the company. Alex later brought in two equity partners, Ralph Griffith and Joseph Huntley. “We have faith in the longevity of the company that our equity will be worth something in the long term,” says Alex. Craft beer enthusiasts, like Alex, are dedicated and passionate. Alex emphasizes how much unity there is within the craft brewery community. He laughs when describing the “terribly hard job” of visiting various bars and breweries, drinking beer while discussing remarkable products created by brewery owners in the craft beer marketplace. The camaraderie extends into sharing mutual promotions on Facebook, Twitter, and Instagram. Alex searches across the country for unique customized items to fill the box. In addition to the T-shirts and pint glasses, some unique items have included 50 caliber bullet bottle openers, craft beer candles, and craft beer soap. Pint glasses for the first year were mostly sourced from North Carolina, and last quarter the box included leather coasters produced at Oowee Products in Asheville, a company employing autistic adults to help produce their products. When Alex discovered this connection, he was intrigued; relating back to his earlier interest in special education, he immediately wanted to use this company in the boxes. Going forward, the company plans to put a consumable in each box, such as craft beer hot sauce, garnish, and a craft beer protein bar. They also have a barbeque sauce in the works, and a rail tie bottle opener will be included in an upcoming box. Alex notes that “part of the fun and passion” of his job is locating products that people would not normally find by themselves. One important selling point is the perceived value BottomsUP Box provides, with an individual box priced at $35, and a one-year subscription, which includes four quarterly boxes, priced at $115. (Both include free shipping.) The team continues in developing their goal of creating a theme for each box. Boxes are limited to those quarterly shipments to assure that quality items can be maintained as inventory. Sixty percent of sales come from online, while other business is generated from retail sales in local bars and stores and at beer festivals. Alex relocated to Chicago following graduation and has also made connections with Chicago area bars, as well as a boutique that ordered T-shirts for their store. The Chicago move has been a big step, with Alex taking a job at Michael Page, a recruitment firm, where he works as recruitment consultant on a team consulting for start-up companies. He hopes to continue building business relationships and branching out, noting how Chicago is an excellent craft beer hub, as well as a prime location for a number of consumer packaged goods firms with many fulfillment facilities. Alex and his team do not yet depend on BottomsUP Box for their livelihood but hope in the near future it will be possible. Headquarters will remain in Hickory, which Alex considers his second home. Alex is adamant about giving back to the university and the community which helped him build this business. To that end, he currently uses a student intern at LRU, Jack Stuart, a junior, to help with social media and packing, and he hopes to eventually hire him. “We’re going to continue that wheel of turning LRU business students into employees of the company and having the one that came before them train them,” says Alex. Alex says he knew he had a fun idea but admits to being surprised by the amount of support within the market and in the excitement surrounding the products. Alex explains each box is hand packed. Currently, inventory floats back and forth between Chicago and Hickory, depending on where items were initially sourced. He describes holding packing parties to personalize the creative way of filling the boxes, proud that it is a product they create with their hands. Although in the beginning Alex disliked the grind and challenges, he now says they are what he loves most, and finds them motivating and exciting. He expresses immense satisfaction in selling someone a product and being able to view their excitement about it when they post photos on social media. “We are trying to fill a little piece of someone’s heart with some craft beer merchandise,” says Alex. When not working, Alex is currently exploring his new surroundings in Chicago with his girlfriend and his Great Dane/Australian Shepherd puppy. He is looking forward to attending lots of baseball games and enjoying local clubs. Alex encourages other entrepreneurs to “jump into their goals and take the next step in their entrepreneurial endeavors.” Like him, you may wind up being surprised where it all leads you. 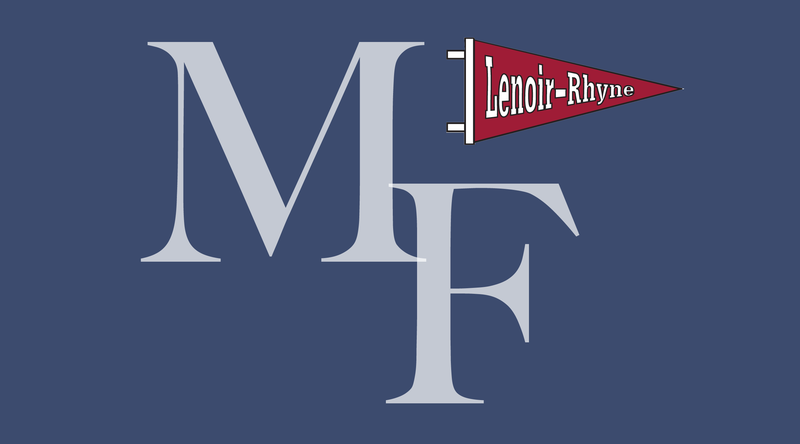 Melanie Ferguson has a MA in Writing from Lenoir-Rhyne University. She is a freelance writer and writing coach.